Hi! My name is Jacob Adler and I’m from Atlanta,Georgia. 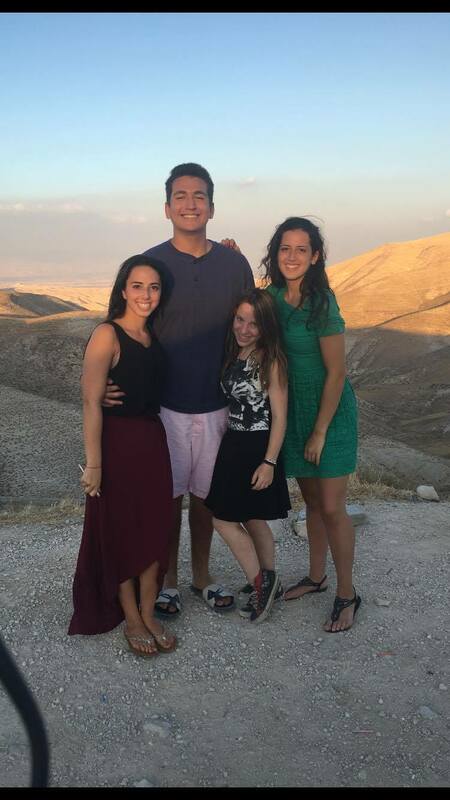 I decided to spend my gap year in Israel because I have always had a special connection to the country. I also felt like I wanted more time to decide what direction I want to take my life. Taking a gap year has been the best decision I could have made to do after high school. I think that out of all the advice I could give to seniors right now is take a gap year. It’s a chance to step out of all the responsibilities and stress of school and learn about yourself and of course have some fun! You have time to take a step back and think what you truly want later in life while having the best time. The next piece of advice I would give to someone coming on the program is to make new friends. Make the first effort to talk to someone because you’re with these people for quite a long time and for all you know they can become your best friend. I’ve been here for only four months and made some friendships that will last me a lifetime all because I decided to come on Aardvark alone which forced me to step outside my comfort zone and go out and make some new friends. This experience also prepares you for your next step in life. I have learned many new skills that I will take with me to the next chapter. And the last piece of advice I can give is have fun. Go out over the weekends and do stuff with your time. On our week of orientation someone said to us ” you can sleep when you’re dead, not when you have a year of opportunities in front of you.” I connected with this piece of advice. Every day I have the opportunity to do something new. I like to go out and explore and not waste my time in bed watching Netflix. I am currently on the Selah track of Aardvark. I began my year living in Jerusalem. Selah is the Jewish enrichment track. On selah we meet three times a week now. One day a week we meet up in the afternoon have lunch together and learn a bit. We have one night a week we have class then Parsha and Pizza. On Thursday’s we take a really fun tiyul to see some stuff we are currently studying in class. We had classes on Ben Yehuda a few times a week and then a weekly tiyul that had to do with material we were learning. One of my favorite things about Selah was having a young married couple come in and teach us every Thursday about Shabbat and bond with us over fun activities. Now that the second semester had begun I have moved to Tel Aviv. I can’t wait to see what this semester has in store for me.